Dr. Linda Sujo brings an impressive background in scientific research to her profession as an Optometrist. Prior to becoming an optometrist, Dr. Sujo worked as a research assistant in the area of molecular genetics with the Ontario Cancer Institute and with Allexlix Biopharmaceuticals Inc.
Dr. Sujo’s undergraduate studies have been in Biomedical Toxicology at the University of Guelph. She then transferred to the University of Waterloo where she received her Doctor of Optometry degree. During her studies, she completed externships at the Scarborough Low Vision Clinic in Scarborough, Ontario, and at the Eye Foundation of Utah in Salt Lake City, Utah. 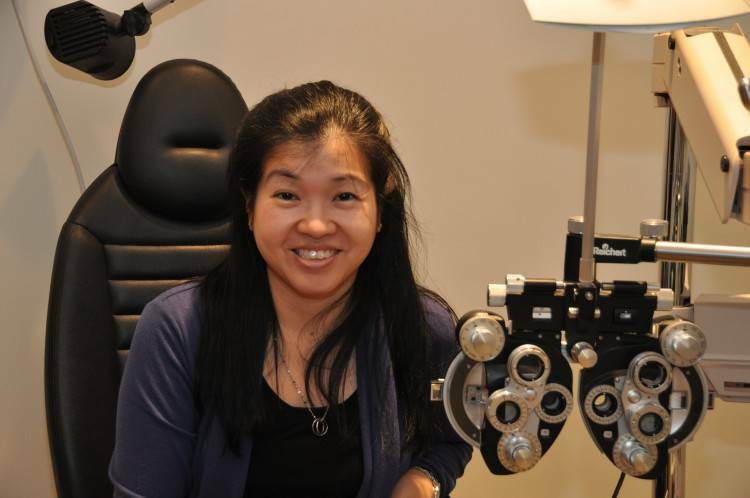 An outgoing and hardworking person, Dr. Sujo enjoys the practice of optometry because of the opportunity it gives her to help people on a one-to-one basis.